Saint John Fisher was a martyr, cardinal and bishop of Rochester, England. Henry VIII ordered him beheaded out of hatred for both the Catholic faith and the primacy of the Roman Pontiff in the sixteenth century. He was entirely isolated due to the general apostasy of the Catholic Church in England. We can draw parallels with the apostasies caused by modernism since history repeats itself. 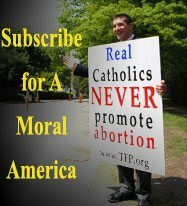 A great process of apathy, lukewarmness and indifference always prepares the Catholic masses for the greatest of apostasies. The attitude of Saint John Fisher, who was a companion of Saint Thomas More in martyrdom, appears all the more laudable as he was entirely isolated in his time. Indeed, there was a general apostasy from the Catholic Church in England; and one of the most horrific aspects of the Protestant revolt there was precisely the indolence and ease with which the bulk of English Catholics went over to Protestantism. In other words, out of mere political interest, career advancement or personal convenience, many Catholics infamously switched religions and did so with total normality and without traumas or problems of conscience. This proves that the religious structure of England was rotten at the time, a rottenness that had already been present in the time of Saint Thomas Becket. 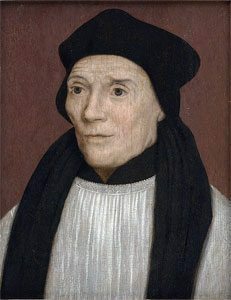 The fact that Saint John Fisher was killed and that the movement he led was defeated, led to a crisis which placed the Anglican Church in the hands of the Henry VIII. Thus, it made a pact with the softness and advantages given by the world. It accepted secularization. Having been prepared beforehand by a long process of decadence, the Church in England fell when it entered into schism with the Pope. Not all the Church fell. There were some martyrs who were exceptions. Actually, they were a little more numerous than commonly reported. In addition to Saint Thomas More and Saint John Fisher, there were other martyrs, such as the Carthusian fathers beheaded by order of the king. Even so, the number of martyrs was very small. We can draw some conclusions from all these facts. We need to see that these processes start considerably beforehand, and how successive treasons prepare great catastrophes. A few centuries separate Saint Thomas Becket and Henry VIII, and yet a putrefaction process had begun already at the time of Saint Thomas Becket which prepared the Church to fall as a whole. When the occasion of temptation finally arrived, all were dragged down completely. This is something similar to the contemporary crisis in the Church. In other words, before modernism appeared, there was a “molding” process which formed Catholic opinions that came from the inertia in face of the erroneous doctrines of the French Revolution. There was an adhesion without reservation to democratic ideas that were impregnated with the spirit of Rousseau. There was an adhesion to the idea of separation of Church and State; a slothful and short-sightedness in light of the growing modern atmosphere that gradually invaded society. This gradually gave rise to apathy, doctrinal indifference and sympathy for all kinds of errors. This state of affairs naturally prepared a highly combustible environment that would explode when the first flame of modernism would arise. We can see how history repeats itself and the great processes of apathy, lukewarmness and indifference prepare the Catholic masses for the greatest apostasies. At the same time, we see a beautiful note of sanctity that remains in the Church despite this sadness and betrayal. Martyrs are still found in the Church. It is still in the Church that we find men with admirable character who are willing to suffer anything rather than give in to the adversary. There are souls who are willing to risk their own lives and property in order to remain faithful to true tradition and ecclesiastical continuity. Thus, even when putrefaction invades Catholic circles, the sanctity of the Church produces fruits; exceptional and marvelous fruits that cannot be found elsewhere. At the same time the Church is betrayed and denied, She emits memorable flashes of light that prove Her Divine Origin. There can be seen a continuous affirmation of the Holy Ghost’s assistance to the Church, and this appears to be the most opportune lesson that we can draw from the martyrdom of Saint John Fisher. This entry was posted in Plinio Corrêa de Oliveira and tagged Catholic, Catholic Church, England, English martyrs, Henry VIII, John Fisher, Primacy, Protestant revolt, Saint, Thomas More by Plinio Corrêa de Oliveira. Bookmark the permalink.